The number of visitors making their way to the Grand Canyon speaks as to how stunning the terrain is. But, it can be irritating to try to appreciate the wonder of nature around you when massive crowds of people surround you. If you’ve never been to the Grand Canyon before, you likely feel overwhelmed with trying to figure out which time of year is the best time to visit the Grand Canyon. When is it the least packed with tourists and the most enjoyable to visit. The number of annual visitors to the Grand Canyon increases every year. In 2017, approximately 6,250,000 people traveled to the Grand Canyon. It’s no surprise that Arizona wasn’t able to keep this gorgeous geographical wonderland a secret from the rest of the world. Although it is not the largest or deepest canyon in the world, the Grand Canyon is one North America’s most breathtaking landscapes. If you are planning a trip to the Grand Canyon and don’t know where to start, this guide will help you. Keep reading to find out what time is the best time to visit the Grand Canyon. You'll also learn when you should avoid it. Before telling you best time to visit the Grand Canyon, these are the three times of the year you’re better off not going. While you might be eager to go to this popular national park as soon as you can, you don’t want to waste your time going at a bad time. If you’re afraid of the crowds at the Grand Canyon, then you should definitely avoid going during the park’s peak season in the summer. Summer break will bring large swarms of families and children into the park. The worst months for crowds are June, July, and the beginning of August. You might get lucky at the end of August when some children are already back in school. However, summer is never the best time to visit the Grand Canyon because it's too hectic. Not only are large crowds annoying to travel through, but your trip will also be more expensive. Plane tickets are more expensive in the summer than in the winter months. If you’re lucky enough to find a hotel room, nearby hotels will charge their highest rates during this time. You’ll have a significantly harder time finding a camping site as well. Large crowds can also be time-consuming and prevent you from seeing and doing all that you want to do at the Grand Canyon. Plus, the weather will be very hot -- especially in the South Rim. 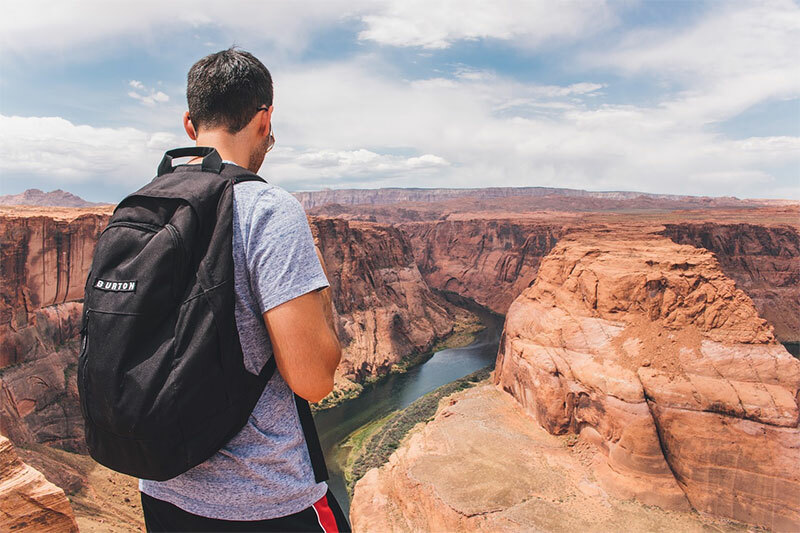 If your children’s spring break is coming up, and you’re trying to decide whether that would be best time to visit the Grand Canyon for the whole family, you might want to just forget it. Unfortunately, you’re not the only person with the same great idea. 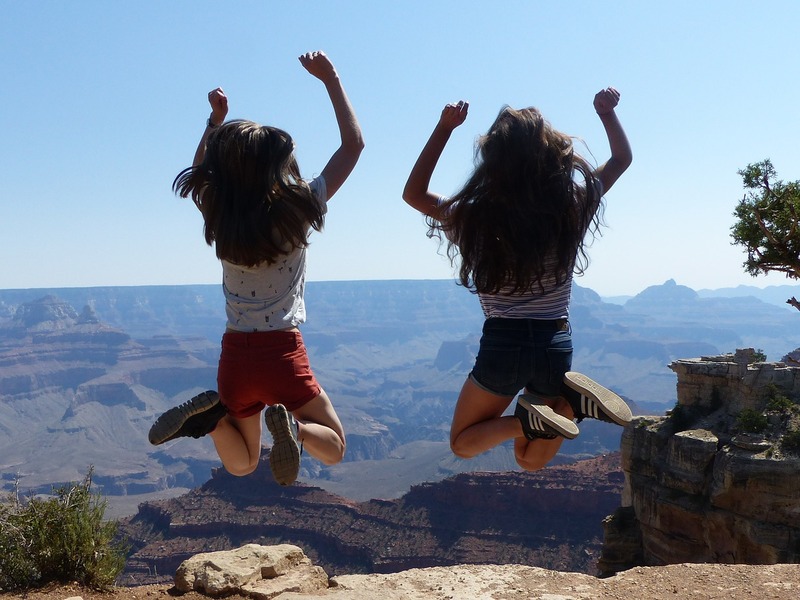 The Grand Canyon is an extremely popular spring break destination. Any time during the year when the kids get a week's break or a three-day weekend like Memorial Day or Labor Day weekend will be a nightmare. Unless you plan at least a year in advance, it will be near impossible to locate a room anywhere. If you thought going in the summer would be bad, going during any of these times will be even worse. If you plan on visiting the South Rim, it will be especially busy. And you can expect a long wait to get into the park, to get on the shuttle, to enjoy activities in the village, and to grab some food. You’re better off just pulling the kids out of school for a week and avoiding the crowds altogether. If you were considering going to the Grand Canyon in the winter to avoid the crowds, you should probably reconsider. The Grand Canyon is by no means a warm, sunny paradise year-round. Rather, you can expect very cold weather and even snow. Temperatures begin to decrease in October and November. December is when the weather starts to get very cold. With an average high of 45 degrees Fahrenheit and an average low of 18 degrees Fahrenheit, you’ll feel uncomfortable during the whole trip. Temperatures stick around these averages until March. That's when the temperatures begin to rise to a more bearable temperature. Apart from not being comfortable, the North Rim closes for the winter season. The South Rim is the most popular section of the Grand Canyon. But, the North Rim still has some beautiful scenery to see. The weather and environment in the North Rim are very different than the South Rim with temperatures being 10 degrees cooler. The South Rim remains open for the entire year. Plus, the prices are lowest in the winter. If you are completely indifferent to the cold, then you might enjoy going to the park at this time. However, the average person would probably enjoy it more when the weather clears up a bit. Now you know the worst times to visit the Grand Canyon. It can depend on what part of the park you want to go to and what activities you want to do. There there are several different times of year that are great to experience. 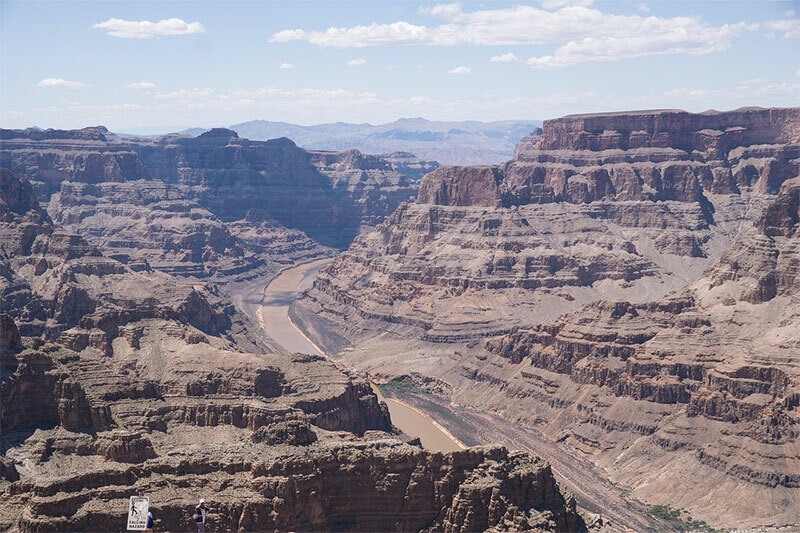 Continue reading to find out the best time to visit the Grand Canyon. Yes, you read that right. The summer is both the worst and the best time to go to the Grand Canyon. The summer is sure to bring big crowds. The canyon is absolutely beautiful in the summer, and the weather is great. With temperature highs that average in the mid-80s, you’ll be warm. But you won't be so hot that you feel like you’re dying. You’ll also get to see the beauty of Northern Arizona’s monsoon season in the evenings. You’ll see picturesque storm clouds in the distance in addition to lightning striking the rocky atmosphere below. As already mentioned, the South Rim is the most popular section of the Grand Canyon. 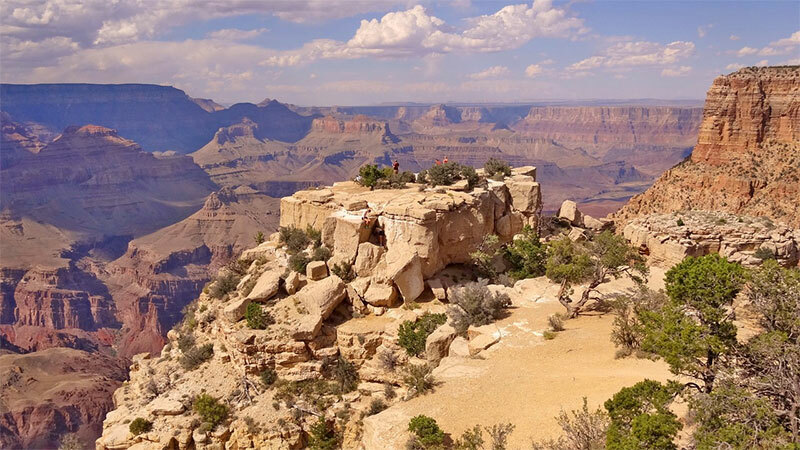 However, if you want to go during a time when the crowds are the thinnest, and the weather is a bit cooler, go to the South Rim in the spring or fall when the kids are in school. April, May, late August, and early September are some of the best times to plan your trip. Since the North Rim is only open May through October, you will be more limited in when you can visit this section of the Grand Canyon. The North Rim is way less busy than the South Rim. So, you might be okay visiting in the summer months if you are able to book a room in advance. The North Rim can get pretty cool, and October might be a bit uncomfortable for you to go. However, in September, you’ll be able to experience the radiance of the North Rim sporting its autumn colors. So, early fall is the best time to visit the Grand Canyon North Rim. Keep in mind that just because the North Rim is less busy than the South Rim doesn’t mean it’s empty. Campsites will still fill up months ahead of time. So, you'll still need to put in a lot of planning for your trip. The West Rim is definitely not most people’s favorite part of the Grand Canyon. However, it does have some cool sights like the famous Skywalk. You can go to the West Rim at any time, and the Skywalk is open until 4:30 p.m. The West Rim will not be very busy, so you really can go at any time. 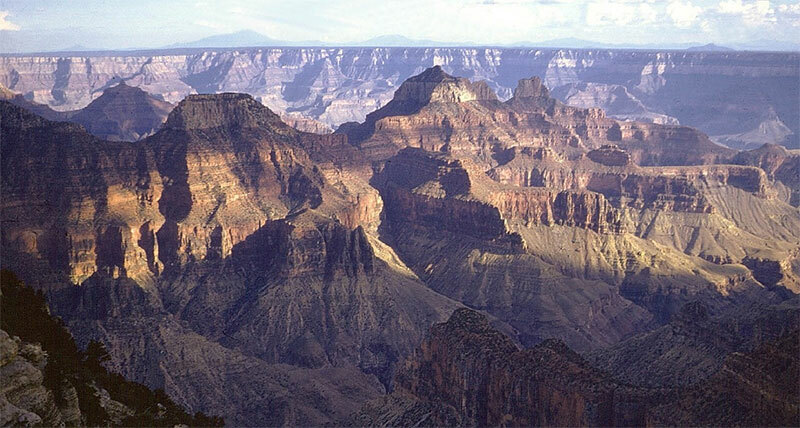 The best time to visit the Grand Canyon West Rim is whenever you have the time and the desire. For the fewest amount of people, try the winter time. You'll be able to walk the bridge with fewer tourists in your way. Every year, there are a couple of days in the year that the National Park Service designates as fee-free days for national parks. You’ll get to enjoy the Grand Canyon without having to pay any fees to get in. Keep in mind that the North Rim is closed during the months with snowfall. So, not all of these days will give you access to the North Rim for free. Since these fee-free days are advertised for everyone to see, you can expect the Grand Canyon to be absolutely packed on these days. Locals are sure to make their way to the park. And many people on vacation may plan their trip around these days. Depending on your tolerance for busy crowds, a fee-free day may not be the best time to visit the Grand Canyon. If you’d rather skip the crowds, then don’t go to the park on these days. Just pay the usual entry fee of $25 per vehicle or $12 per pedestrian or bicyclist. 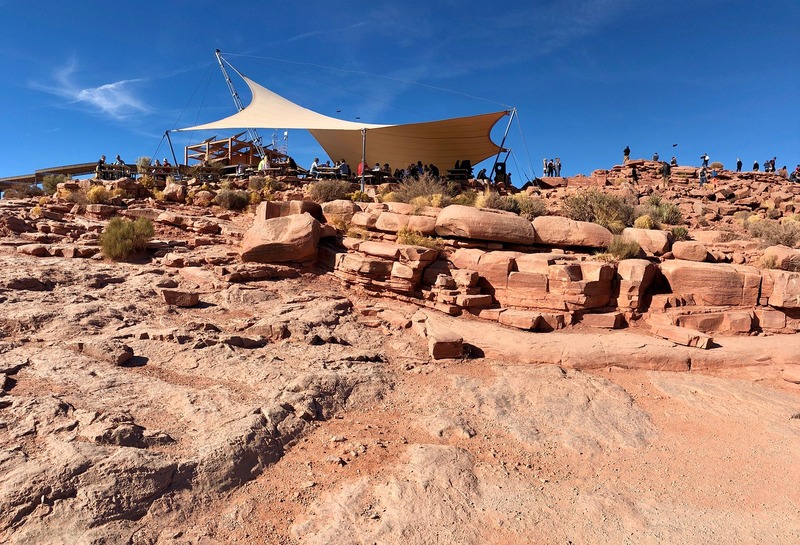 If you want to dedicate one of your days at the Grand Canyon to floating down the Colorado River, there is a one-day commercial trip offered by the Glen Canyon Rafting Hospitality group. 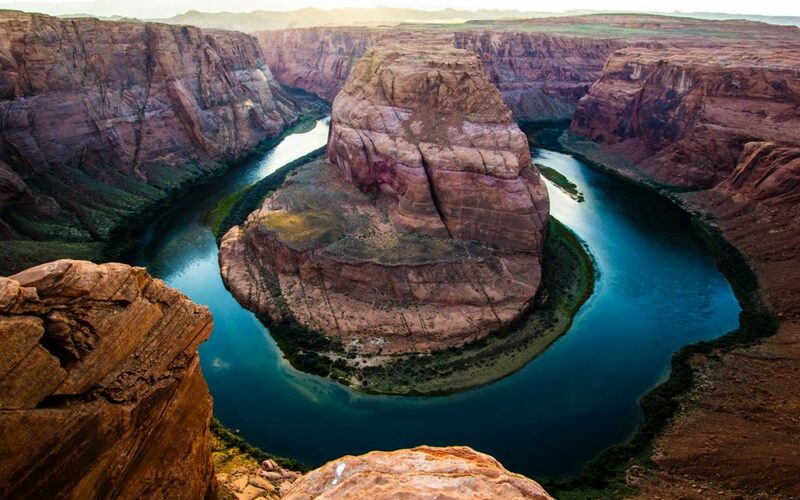 You can choose either a half-day or all-day trip from the Glen Canyon Dam to Lees Ferry. This trip is only available from March 1 to November 30. So, you'll want to plan your trip during that time period. If you are interested in longer floating trips, there are several options available. You will need to plan this excursion ahead of time. You'll also need to acquire all the proper permits and paperwork to do so. While the times of year these trips are available might vary, you will need to plan to go during the spring, summer, or fall months before the weather gets significantly colder and it begins to snow. If you want to enjoy one of the longer hikes the Grand Canyon has to offer, you should be very wary of the weather. There are plenty of short hiking trips you can go on. However, there are some trips that can take longer than a day to accomplish. These will require planning for an overnight hike. You should take caution if planning your overnight hiking trip in the hottest parts of summer and in the winter. Both of these seasons can be dangerous and even lead to death. The extreme summer heat and the slippery, freezing landscape of winter have led to accidents, hypothermia, and heat-related deaths in the past. Your good first step in planning your trip to the Grand Canyon is to figure out what you want to do most. If you really want to see the South Rim and don’t care about seeing the North Rim, you should focus on the best time of the year to visit the Grand Canyon for the South Rim region. If you want to travel to all three sections of the park, you may want to split your trip into several seasons. As you can see, there is a lot to consider when planning a trip to the Grand Canyon. No matter what time of year you decide to go, you should give yourself months or even an entire year to plan your trip. The earlier you start planning, the more likely you are to be able to find a hotel room or even find a camping spot inside the park. 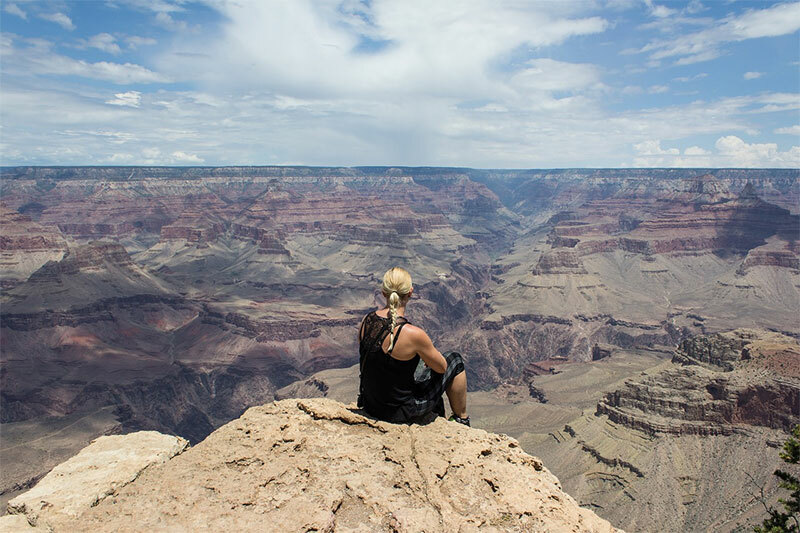 Although your experience at the Grand Canyon will vary depending on what time of year you go, you’ll enjoy the beauty this national treasure has to offer no matter when you choose to visit.